This week we decided to interview Derek Swanson, co-owner of DC Sharp, which specializing in Japanese-style kitchen knife sharpening in the Washington metropolitan area. 1. Hello Derek. Can you tell me something more about yourself and DC Sharp? How did you start and where did you learn how to sharpen knives? I’m just a typical dude. I was working a boring government job when I looked into starting sharpening as a side hustle because I couldn’t find anyone in DC to sharpen properly. I watched some youtube videos and sharpened knives for friends pro bono. After that all it takes is practice, the more the better. 2. What is a knife to you? A knife is just a tool. Honestly I’m not really even a “knife guy” in the same sense that some of my customers are. That being said, I appreciate tools that are well-made and do what they are designed to do. A tool should perform well and be easy to maintain. The best knives 1) cut well, 2) stay sharp for a long time and 3) are easy to resharpen. Those are the 3 criteria I judge a knife by. 3. You mentioned that you practice Japanese-style knife sharpening. Can you tell us why? “Free-hand” knife sharpening might be a better way to describe it. I use a belt sander to correct and restore a blade’s geometry and then finish the primary cutting edge on Japanese water stones. Every knife needs to be approached individually, which is why jigs don’t help the process. 4. Could you tell us your secret, how to sharpen knives? What is your technique? Practice. Practice. Practice. Muscle memory comes from repetition. Familiarity takes time to develop. I pick up every knife I see and evaluate what is wrong with it. Slide your fingers down edges with just enough pressure to avoid drawing blood; its the best way to feel for sharpness. When sharpening, observation is key. Rub a little then feel for progress. My goal is always to create the best edge possible without removing any more steel than necessary. 5. How to know if the knife is dull and need sharpening? I get this question a lot. If there is any doubt a knife is sharp, then it is undoubtably dull. But again,the best way is to slide your fingers down the edge. The danger instinct from your brain will react instantly to a really good edge. 6. How many knives you had to sharpen to master your skills? I estimate having sharpened over 10,000 knives in the past 4 years, but I don’t feel I have mastered anything yet. Sharpening is a practice, like medicine and law. One gets better every day. That’s why I believe the best knives are made by the oldest smiths. 7. What advise would you give to beginners? I would advise buying Murray Carter’s full videos. His you tube content is great but only goes so far. After that just keep practicing. Don’t worry about ruining your knife. Also be patient. When I first started, some knives took me 30-45 minutes (each!). 8. There is many opinions that you should learn on cheap knives first. Do you agree with that? I advise people to learn on whatever is available. I advise against excess grinding ie. sharpening a knife that doesn’t need to be sharpened. But blades made with softer steel go dull faster, so they need more frequent sharpening. At home I use a $40 Victronox. It’s not a great knife because I have to sharpen it every 10 days. But it allows me to practice. 9. Right now, what is your biggest business challenge? Do you have any plans to grow your business or improve your skills even more? We often think about expanding our business but we are pretty lazy and appreciate a good work-life balance. I am learning Japanese so I can better communicate with my knife-maker friends in Japan. 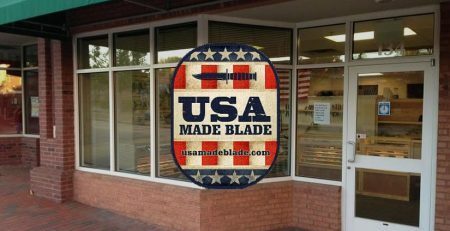 I think there are opportunities for knife shops like mine to open in other cities, but it is labor intensive and the location needs to be right. If I found the right partners to run shops I would invest in certain cities. Thank you Derek for telling us more your business and for sharing some tips about knife sharpening. We would like to wish you all the best and good luck with finding the right partners. I found this to be very informative. 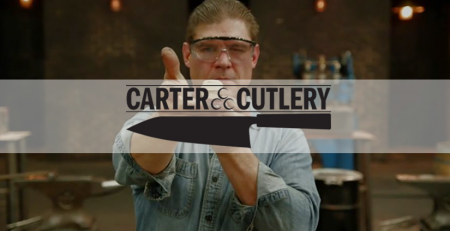 I’m a culinarian by profession and this is really neat to hear how someone started in the knife sharpening business. I would say that I’m only decent when sharpening my knife, but I would love to learn more. I’m so glad I was able to find this site. I’m more than happy that you found this interview helpful and valuable. Just got finished checking out the page! What a great interview with a “down to earth” guy. I always love to hear the story of someone following their “passion” like Greg. Too many people just find work in order to make the almighty dollar. I also think that Derek from DC Sharp gave us a great interview. Sir i love your content so much so that you make me want to be a knife sharpener.I always cringe at the dull edges of the knives at my own home and often wonder how to rectify this . Your material was well laid out , with good visuals ,illustrations and content.Thanks for your article. If you ever need any help or advise related to knives, please let me know.